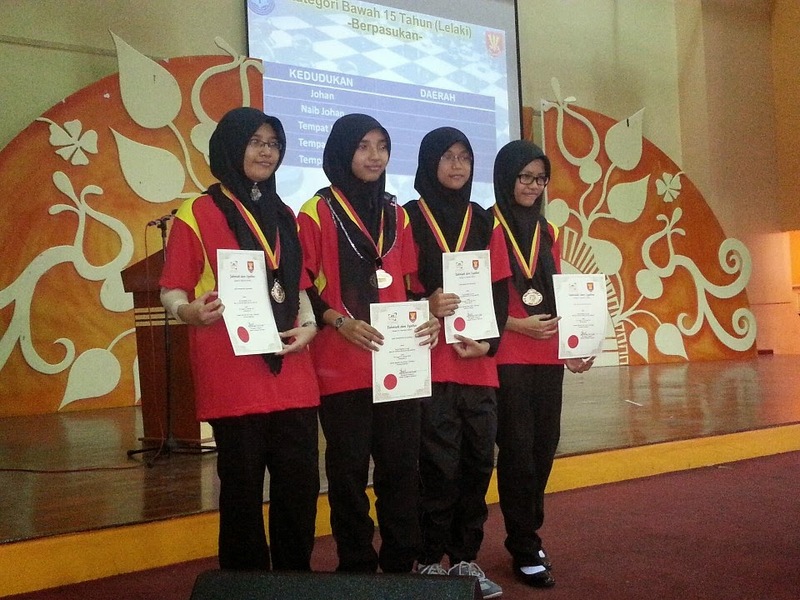 The MSS Selangor chess championship had been held last week from 20th until 23rd of April 2015. For this year edition, PPD Hulu Selangor is the host. The venue for the championship is Kuala Kubu Baru sports complex hall. 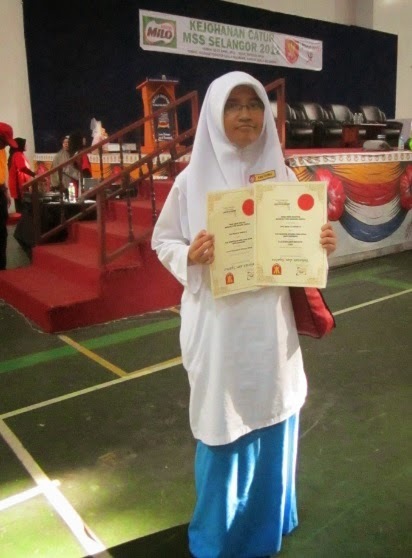 GiLoCatur's only daughter, Anis Fariha, took part in the championship. It is the final MSSS chess championship for her. Anis had been taking part in the championship since 2009 representing PPD Petaling Perdana for two years (2009 - 2010) and PPD Kuala Selangor for five years (2011 - 2015) respectively. 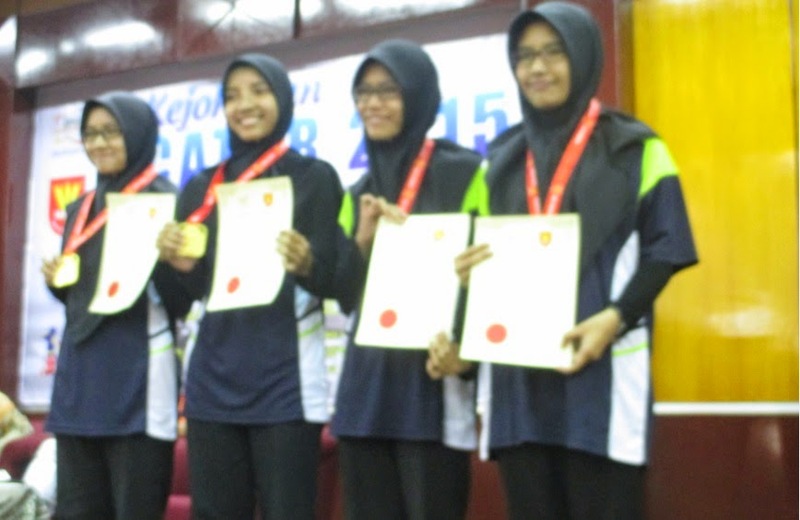 Alhamdulillah, Anis has won three (3) Gold medals, four (4) Silver medals and two (2) Bronze medals. 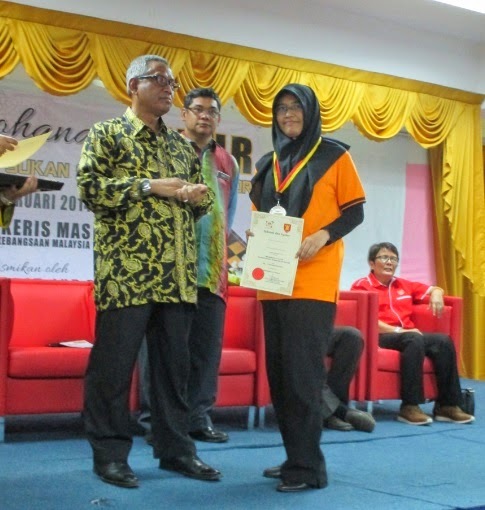 As a father, surely GiLoCatur is very proud with Anis' achievement in the MSSS which GiLoCatur never achieve before. GiLoCatur had even never taken part in any MSSS championship during the school days. 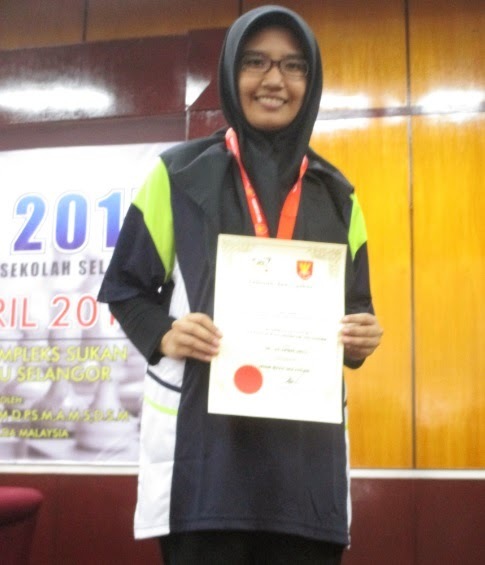 Another feat for her is since her debut in the MSSS chess championship in Sepang 2009 edition until recently concluded Hulu Selangor 2015 edition, Anis is one of the MSS Selangor chess contingent in the MSSM chess championship. Here are another interesting facts. All the other three team mates in both 2013 Sepang (P15 Team Champion) and 2015 Hulu Selangor (P18 Team Champion) editions are her KUSESS school mates. KUSESS is Kuala Selangor Science School or its Malay name, Sekolah Menengah Sains Kuala Selangor. Below are several photos of Anis in the MSSS chess championships. GiLoCatur believes many of us are familiar what KPI is. By the way, let's GiLoCatur copy paste here the definition of KPI that GiLoCatur gets from the internet. A Key Performance Indicator is a measurable value that demonstrates how effectively a company is achieving key business objectives. Organizations use KPIs at multiple levels to evaluate their success at reaching targets. Why GiLoCatur is talking about KPI? Actually, GiLoCatur wants to talk about the KPI of chess. What is the KPI of chess? What measurement to determine your chess performance has improved or otherwise. The answer is chess RATINGS. Let's google. Below what GiLoCatur found. A chess rating system is a system used in chess to calculate an estimate of the strength of the player, based on his or her performance versus other players. They are used by organizations such as FIDE, the US Chess Federation (USCF), International Correspondence Chess Federation, and the English Chess Federation. 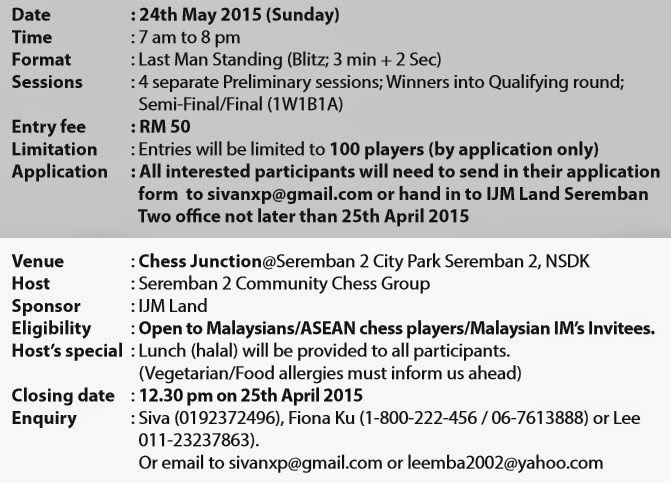 For Malaysian chess players, the MCF Rating is being used. Unlike FIDE Rating that has different ratings for standard, rapid and blitz chess categories, MCF Rating includes all the three categories together. The latest MCF Ratings has just been released about two weeks ago. For the Malaysian chess community that is new to MCF Ratings, it is released quarterly. In other words, it will be released in every three months. So, there would be FOUR MCF Ratings in a year. Let's take a look at the MCF Ratings of GiLoCatur and children. In October 2014 release, Fikri's MCF Rating was 1727. He gained 19 points for the January 2015 release to 1746. His MCF Rating has another increase in the latest April 2015 release by similar 19 points. Thus, the current Fikri's MCF Rating is 1765. The 2014 Chess Ratings Mission has successfully been achieved in 2015. Hopefully, Fikri will continue to gain more points taking part in national-rated chess tournaments. In October 2014 release, Anis' MCF Rating was 1487. Not very active playing in local chess tournaments, she managed to increase her MCF Rating to 1513 for the January 2015 release. Unfortunately, Anis lost 52 points in the NAG 2015 making her latest MCF Rating decreases to 1461. Anis will not participate in chess tournaments this year except MSSM chess championship since she will sit for SPM examination in early December. In October 2014 release, Fahim's MCF Rating was 1620. He lost 19 points for the January 2015 release to 1601. His MCF Rating has another decrease in the latest April 2015 release by 8 points. Thus, the current Fahim's MCF Rating is 1593. For Fahim, the 2014 Chess Ratings Mission has not been achieved. Hopefully, Fahim will improve his MCF Rating this year by gaining more points taking part in national-rated chess tournaments. How about the MCF Rating for GiLoCatur? 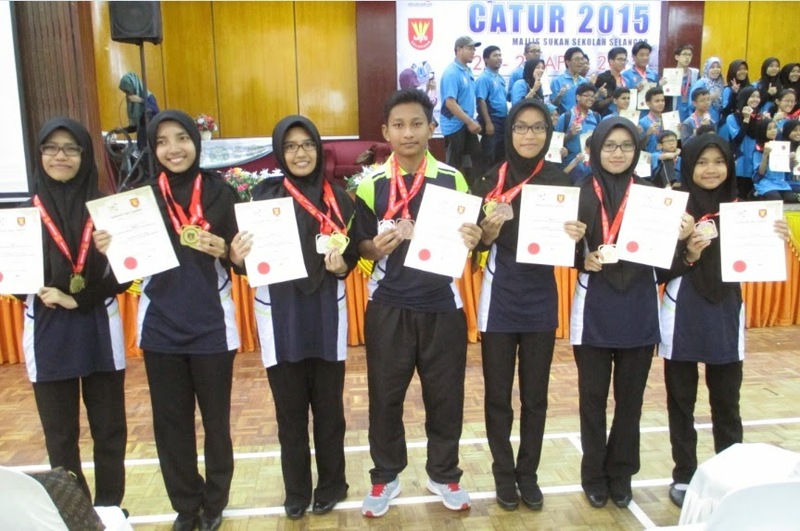 GiLoCatur took part in only one national-rated local chess tournament since October 2014 which is the UPSI Open. GiLoCatur lost 5 points in that tournament. The current GiLoCatur's MCF Rating is 1492, 8 points short from 1500. Below is the MCF Rating change (the last three releases) for GiLoCatur and children. GiLoCatur was informed that due to certain circumstance, this event is postponed to a later date to be informed later! Are you King of Chess Blitz? Are you very good at playing Blitz chess? Do you dare to win TWO THOUSANDS RINGGIT MALAYSIA? If you are, there is a chess tournament that you can participate. What is the chess tournament name? When and where the tournament will be held? You do not believe the prize is 2K, do you? Check it out below prizes structure. Register quickly. Limited to 100 participants only.